In the store, we can perform many minor repairs. 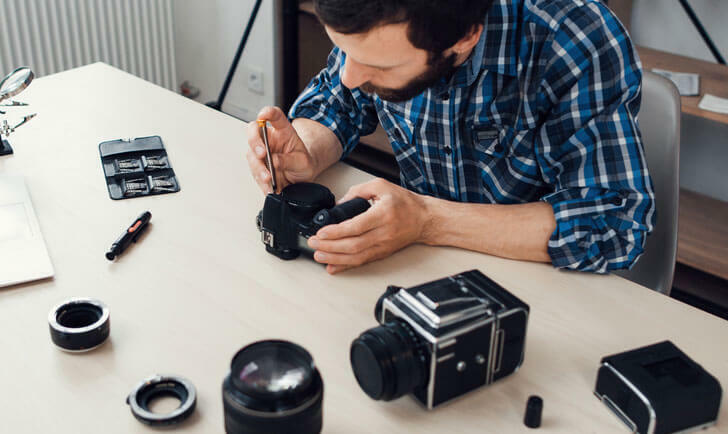 If we are unable to repair the items in house, we offer free estimates and trouble shooting, and can also send out to many major camera repair facilities. It is always worth bringing your broken equipment in the store to see what we can do!